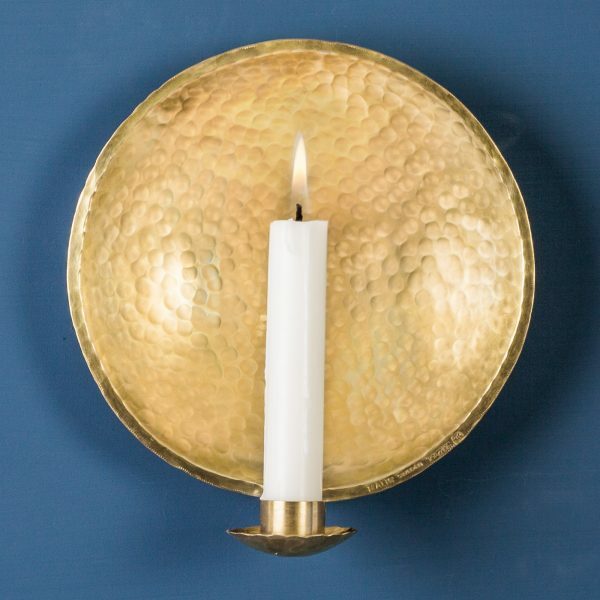 This is the smallest of the wall sconce family. It is a popular gift at naming ceremonies therefore the name Nursery sconce. It is hand made in brass and measures 15 cm ø. This product you can polish with regular polisher. The perfect size of candle would be 19 ø x 135 mm high.